Place a Jacques Arm Dining Chair at either end of an oval or rectangular table to ground your meals in French-country style. The strikingly straight arms feature elegantly curved supports. Intricate scrolls, dramatic fluting, turned legs and carved blossom motifs are set off by the beautiful antique finish. 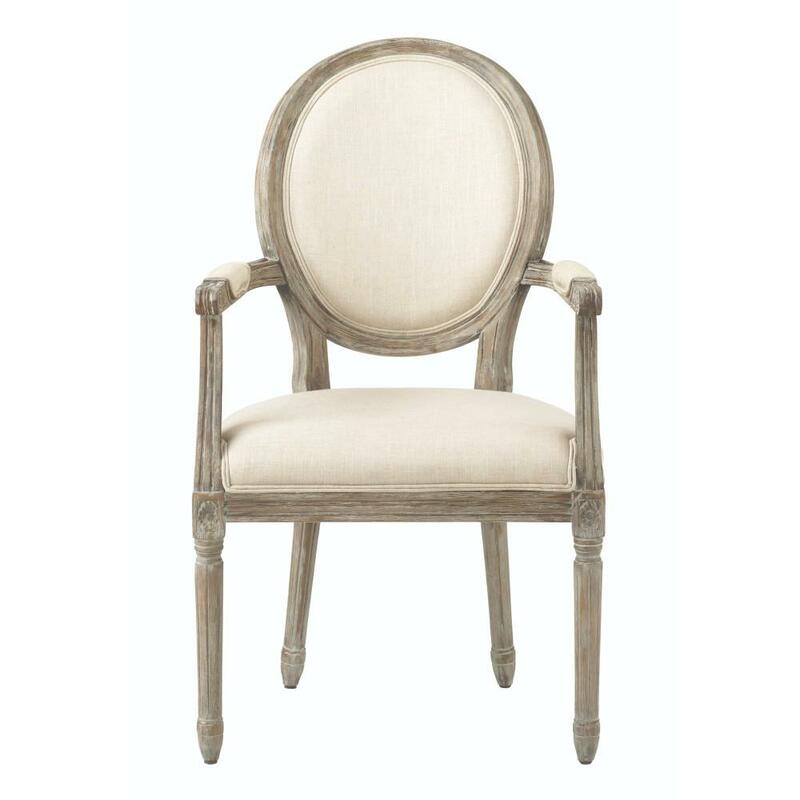 In the perfect finishing touch, the oval back, generous seat and center of each arm are upholstered in natural-colored woven linen. Love this chair- sits perfectly at the head of the table! My husband was worried about the width of the seat, some dining chairs with arms are narrow, but this has plenty of room and is very comfortable. A great buy and a beautiful addition to my dining table. A lot of time is spent sitting around a dining room table, so it's a good idea to make sure your dining chairs are as stylish and comfortable as possible. Our Jacques Oval Side Chairs feature a sturdy, solid birch frame and a supportive foam and fiber batting cushion. 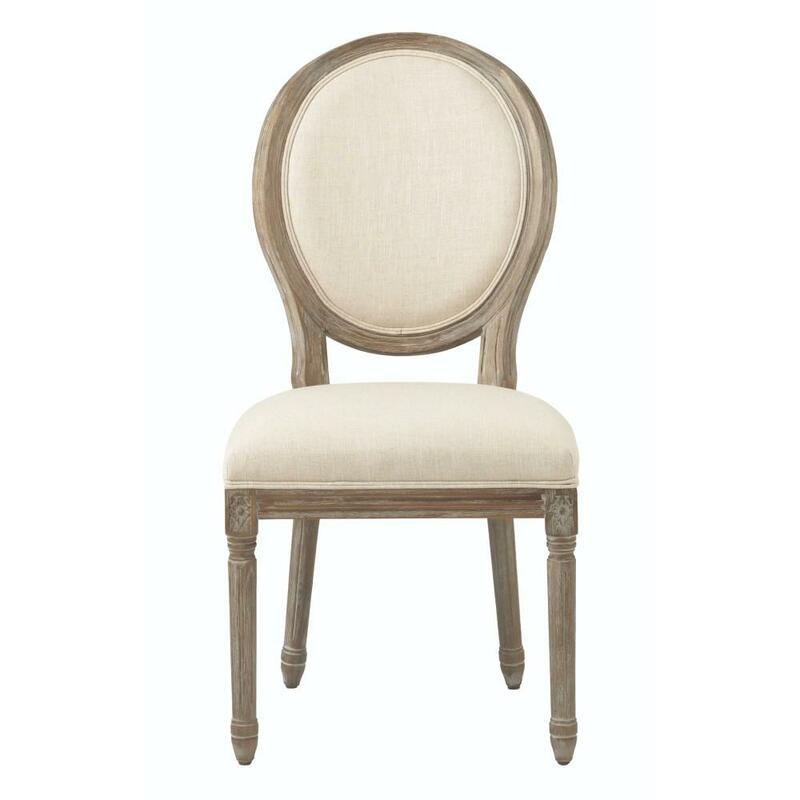 Intricately carved floral motifs, elegant fluting and turned legs give this dining side chair French country appeal. The cozy seat and back are upholstered in woven natural linen. I love these chairs! They are well made and sturdy-my family uses them everyday. They were a little pricier than others I saw online - but after reading their reviews I opted to spend the extra money to get the quality I was looking for. I am so glad I did! Theresa has not submitted any questions. Theresa has not submitted any answers.